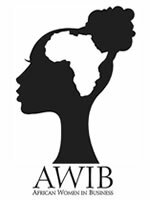 African Women in Business (AWIB) is a platform created for women in Africa and the diaspora to engage in productive economic activities and enhance entrepreneurial skills. AJA.LA Studios is a tech start-up based in Rwanda with the unique approach of combining tech with the acquisition of African languages. AJA. Ades Foundation is a social enterprise that seeks to enhance social and economic impact in Africa. The foundation has been set up as the charitable arm of Ades Ltd, a large food outlet store based in London.